We at SecretTM take pride in our production team, especially our researchers & scientists who have spent more than 24 months of research and lab-test to come up with a special high-tech formula that can make the film performance last forever! 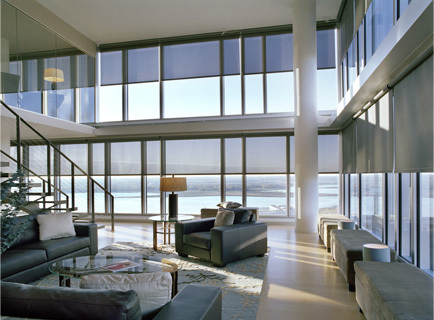 There are many different types of window films in the industry. All films have one basic ingredient (raw material) in common; it is the polyester (PET) film. PET is the most common thermoplastic polymer resin of the polyester family and has high tensile strength, dimensional stability, transparency, and reflectivity properties. Some types of film consist of a number of thin layers stacked on top of one another. 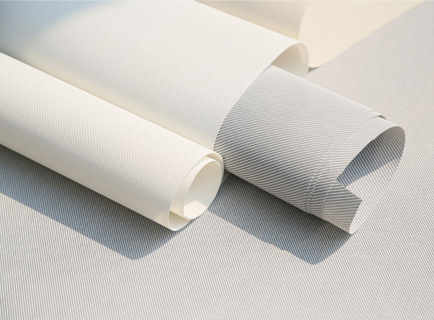 On the inner surface, the film is fitted with a water-activated or pressure sensitive coating, and a hard, scratch-resistant finish is applied on the exposed outer surface. 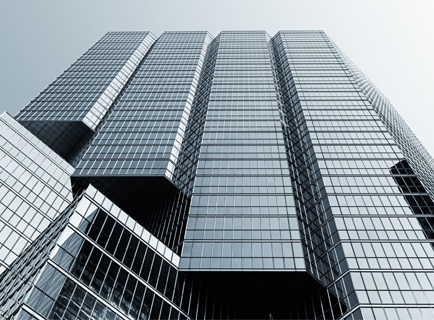 Special chemical UV blockers (Cyclic Imino Esters) are added to the film to prevent ultraviolet radiation and this basic composition makes up a typical window film for general shatter resistance and UV protection. 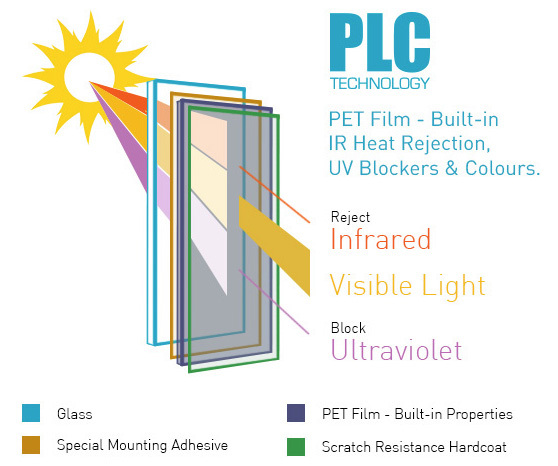 Today, we have formulated the world’s most advanced optical window film with built-in properties (high heat rejection, UV blockers & colours) into the PET (raw material) itself. With all these built-in properties, our optical window films are ensured a lifetime performance with superior HD (high definition) optical vision! Made of performance-locked Technology. Specially formulated to make the film performance last forever. Clarity & sharper vision in all lighting conditions with optimum visual comfort. 100% protection against UV-A (most dangerous UV that causes skin cancer) and UV-B rays. Improve comfort in your vehicle and home with our superior heat reduction properties. 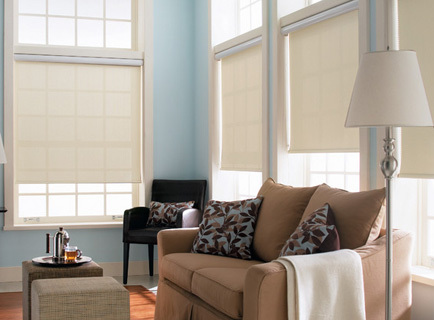 Reduces unpleasant glare from strong sunlight and reduce eye tiredness. Block harmful ultra-violet rays from the sun. To protect interior furniture & filtings, and your skin. Reduces the impact of shattered glass in the event of smash-and-grab theft or natural disasters. Environmental friendly. Reduces petrol and electricity cost.